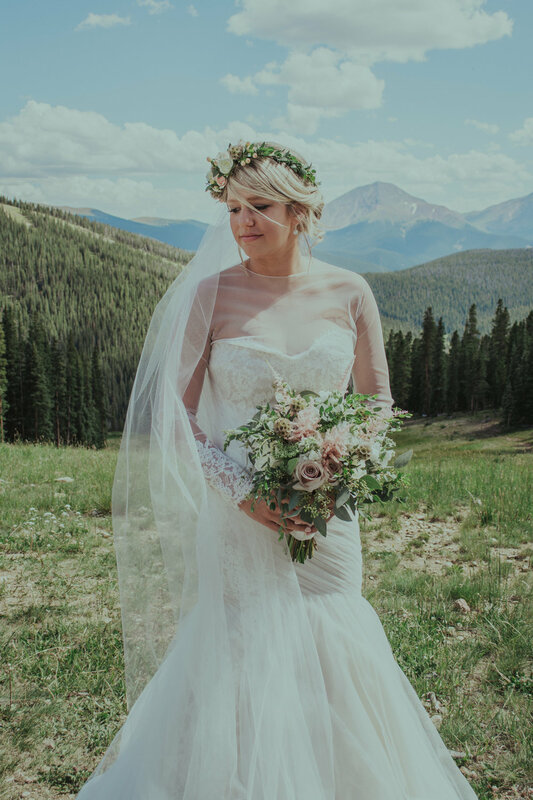 For her Keystone, CO wedding, Lindsey chose the Bliss Monique Lhuillier "1516" wedding dress and made it all her own with a custom illusion & lace sleeve. 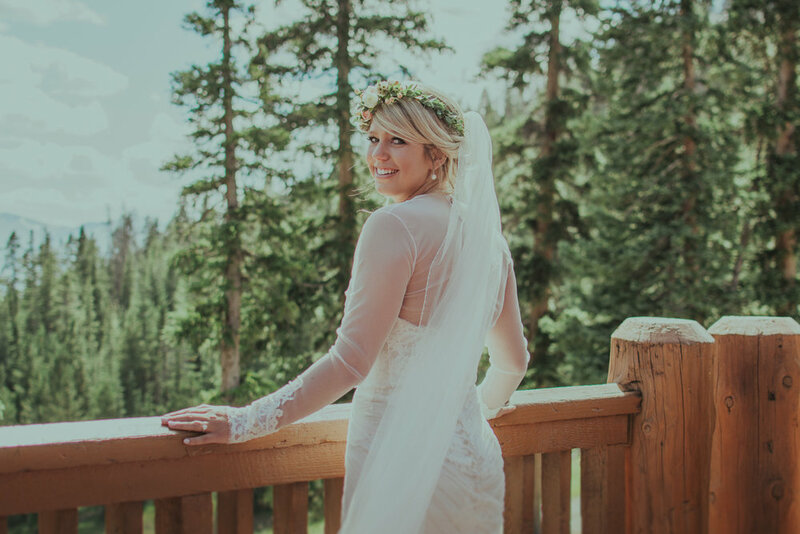 Lindsey changed her look from ceremony to reception and looked gorgeous both ways! 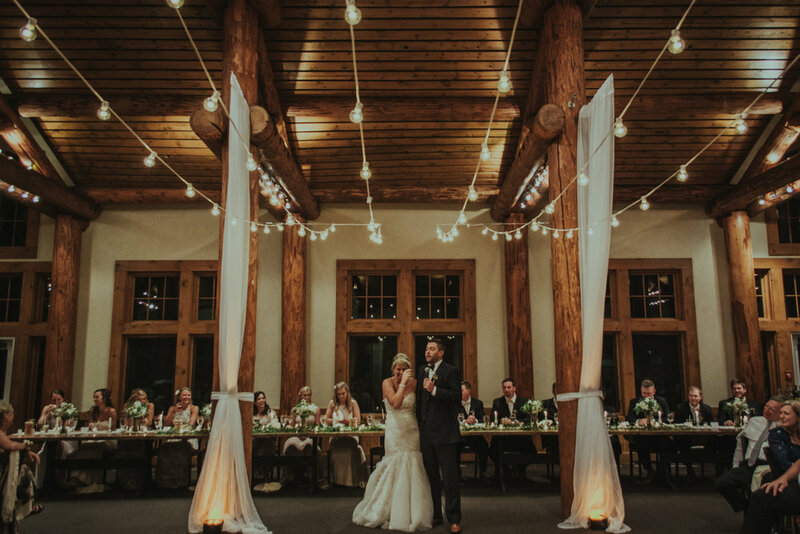 We are also loving the combo of market lights and simple white draping paired with the rustic vibe of the Timber Ridge Lodge. 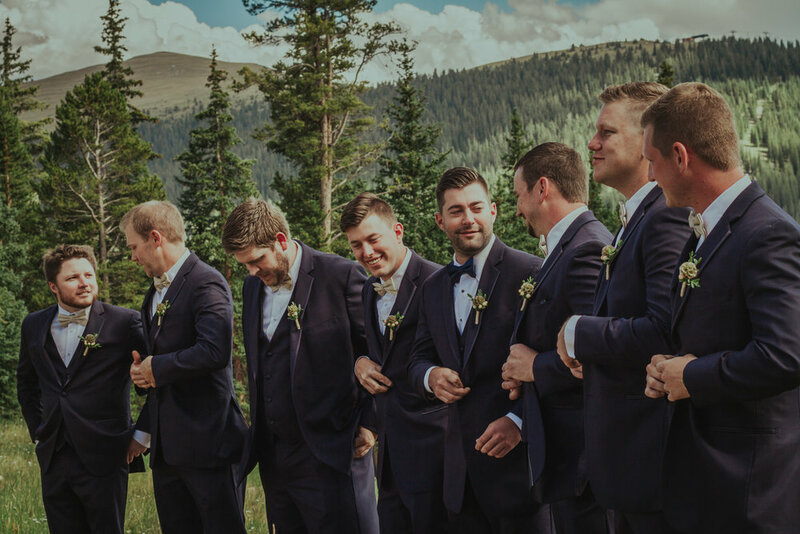 Congrats Lindsey and Jared!